TMJ disorders affect 7 out of 10 at some time in their life. While only 1 in 4 people are aware or report symptoms to their dentist or medical practitioner. Temporomandibular disorders (TMD) is a caused by problems with the functioning of the temporomandibular joint where your cheekbone and your jaw connect. The most common cause of TMD is malocclusion which is a misalignment of the jaw presenting as an overbite, underbite or crossbite. A physician and a range of medical specialists can correctly diagnose TMJ including your dentist, prosthodontist (prosthetic dentist), a maxillofacial specialist and an ENT specialist. The experienced team at Lake View Dental on the Sunshine Coast can correctly diagnose TMJ disorder and are well equipped in order to treat the condition. How to fix TMJ disorder? Treatment to put the jaws in the right physiological position. 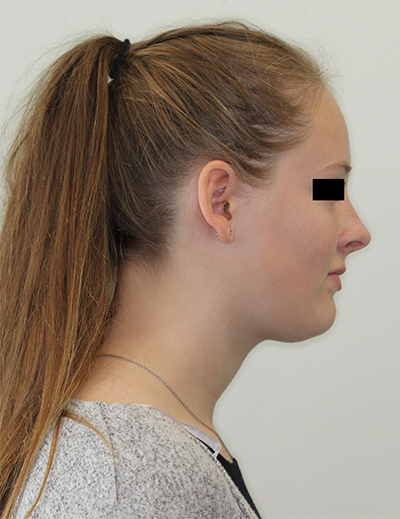 This lovely young patient presented with severe clicking and locking of her jaw joint causing severe pain. 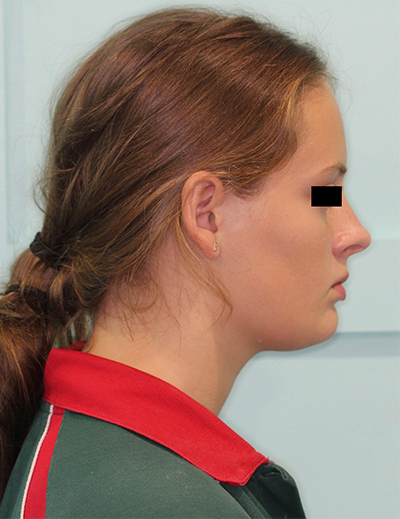 Her assessment revealed restricted movement of her lower jaw due to locking of the jaw joint on the left side. She was diagnoses on her X-rays as having insufficient growth on her upper jaw due to mouth breathing that has resulted in some teeth positioning problems resulting in the locking of her lower jaw. She was treated with 8 months of jaw development and we are pleased to note that she has regained her jaw movement with no pain or clicking. This lovely patient, a medical professional, has had longstanding jaw clicking and jaw joint and facial pain. She also suffered with on average 4 migraines a month. 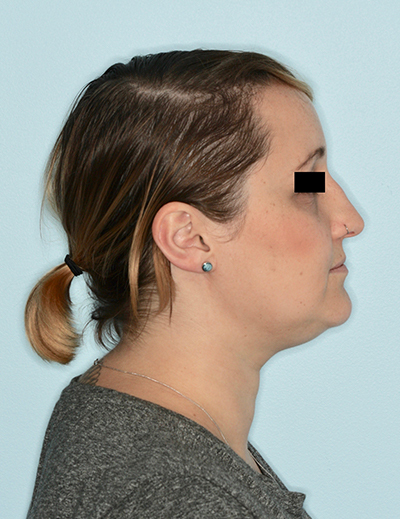 The assessment revealed that this patients symptoms could be attributed to mid face deficiency that has resulted in her lower jaw being forced back compacting her jaw joints causing the pain and clicking. The treatment option decided upon was upper jaw development and lower jaw de-compaction to allow for better movement and better breathing. We did 10 months of jaw development and this patients jaw has stop clicking and there is no jaw joint pain. Also her migraine frequency has decreased significantly to 1 migraine in 8 months. She also reports better sleeping as her breathing has improved and she feels less pain. This lovely patient expressed the desire for improved facial aesthetics, help with her breathing and TMJ problems. 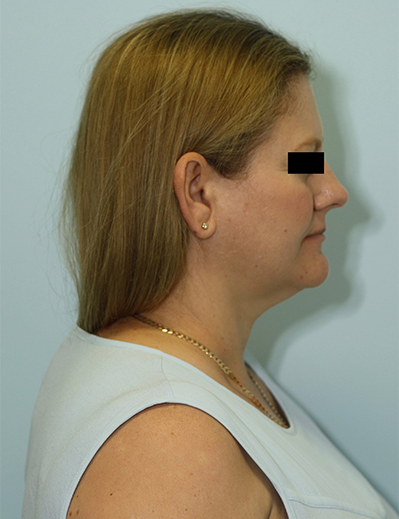 In the before picture we noted her head as being extended forward jutting her chin out rotating her head up and forward. This rotation is to make it easier for her to breath resulting in an unnatural head position. On the X-ray diagnosis we noted her top jaw being insufficient and further back than where it should be, this in turn made her nose look relatively bigger and more hooked as the top jaw was pulling the nose back. 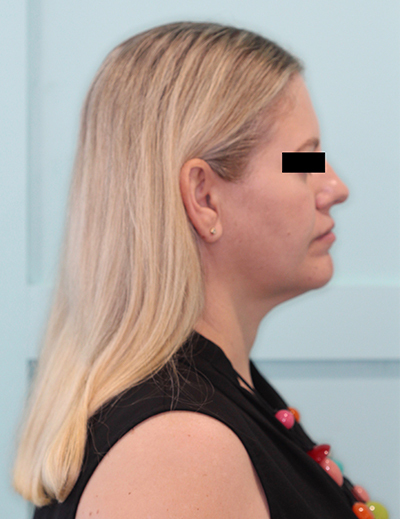 The after picture is a result of a Jaw Development Appliance increasing the forward position of the top jaw that allowed for the head to be held in a more relaxed and balanced position while still allowing easy breathing. 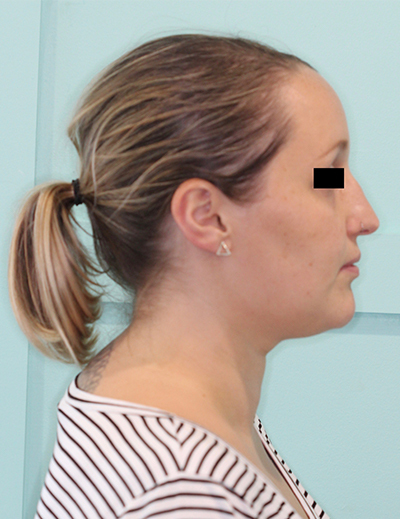 The improvement in facial aesthetics, breathing, posture jaw joint clicking has been significant. This was achieved without any surgery. 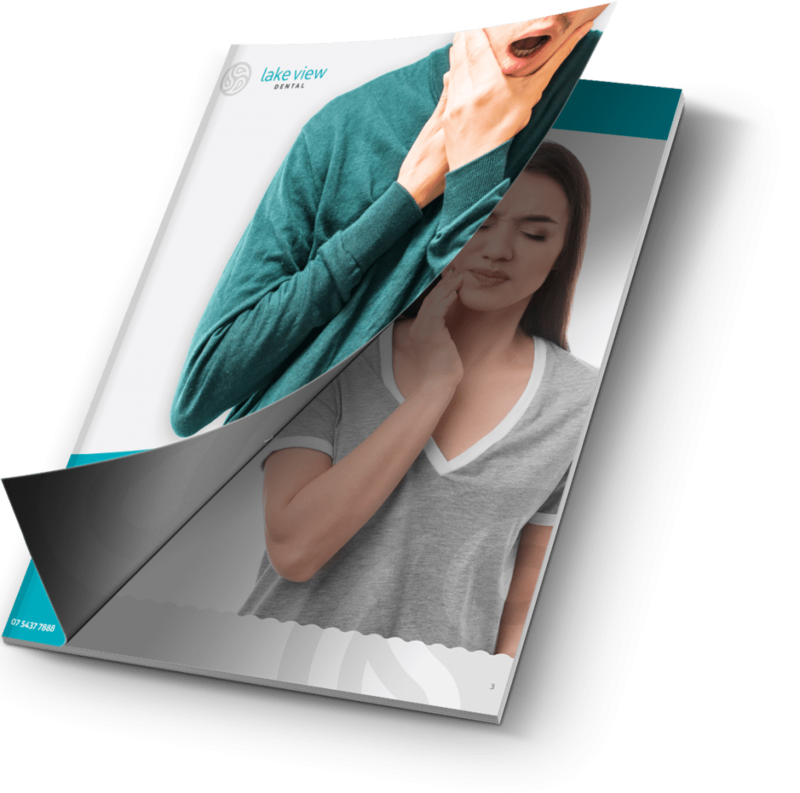 Find our more information about TMJ disorder and treatment during a personalised consultation with one of our experienced Lake View dentists. Lake View Dental. All Rights Reserved.